Who can resist these beautiful blusher by Etude House? Well, I can't.. that's why I got five shades of them for myself, it originally has 10 shades, but I think the other shades are too pale for my skin tone, and that's why I only bought 5 of them. They look incredibly cute, Etude House is really popular with the cute packaging and interior design.. The blushers are travel friendly, because they're lightweight and also have sturdy packaging. 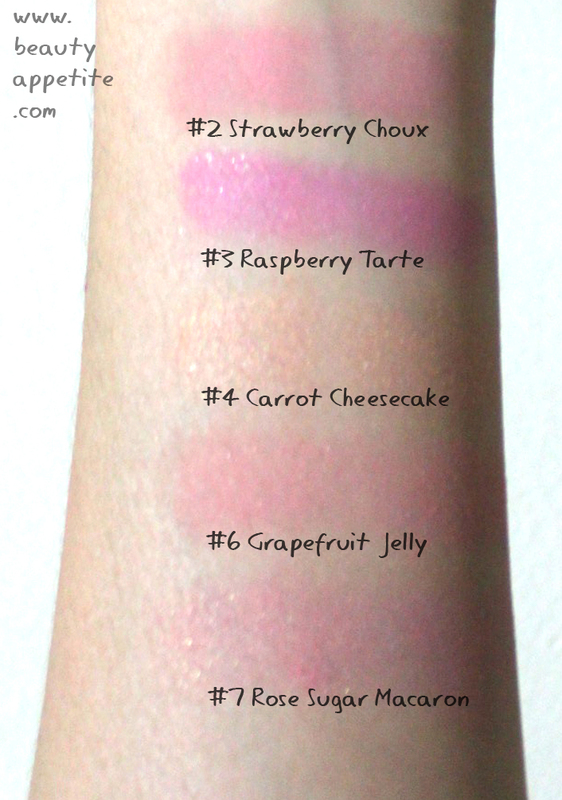 2 of 5 are matte, which are the #2 Strawberry Choux and #6 Grapefruit Jelly, and the others are glittery). Beautiful soft baby pink, and the best thing is its matte. It suits my skin tone really well, but it may not work so well with darker skin tone. This color is the lightest shade of all, but the color pay off really good. It looks bold hot pink color in pan, try apply it on a tiny amount on your cheeks. The color is really pigmented and long lasting. The color is not as pigmented as the others, however this is a beautiful color even though its so sheer. This one is my favorite shade, because it is matte and I love coral pink color especially for blush! Not really my favorite, but still this color is gorgeous. I love to use this when I'm going out at night, because I prefer natural look during day time, unless there's meeting and stuffs. 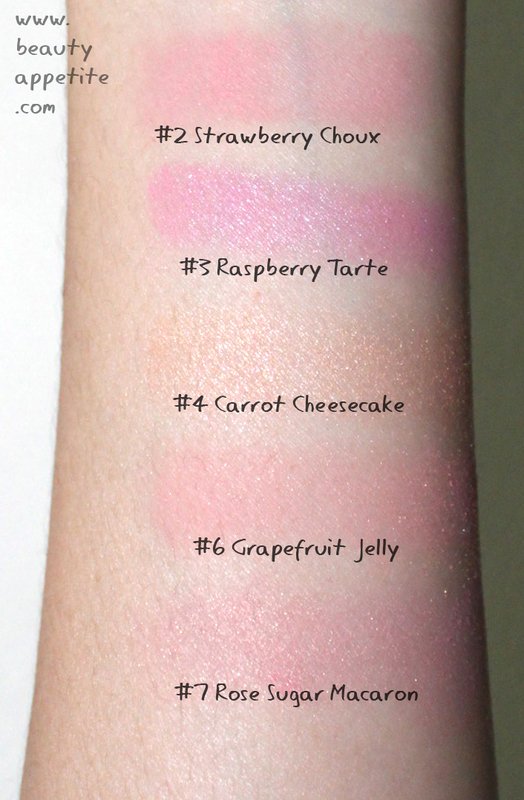 I just realized that the swatch for #6 Grapefruit Jelly looks glittery, sorry for that! I only used one brush to apply all the blushers on my hand, and the glitter didn't show up in my camera :( But actually the color doesn't has any glitter in it.  Most of the color has really great pay off and also long lasting, especially the darker shades. They last about 6-8 hours on my skin, lighter shades tend to fade in 4-6 hours. weh lu beli banyakk banget dahhh..
satu aja ga cukup apa ?? wakkakaka tapi lucu sih..
hello! 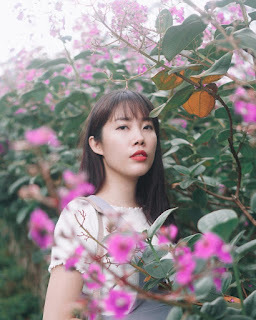 first of all, i love your reviews :) and i know this post already long long time ago and i decide to ask your opinion! Both of the shades look almost similar... If you prefer pinkish tone, then go for Strawberry Choux! Grapefruit Jelly is a lot more coral-peachy. Both of them are matte, which is good for natural make up.